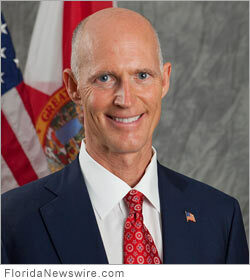 TALLAHASSEE, Fla. /Florida Newswire/ — On Tuesday, Florida Governor Rick Scott announced the number of available online job openings in Florida increased by 8.8 percent in February 2013 compared to the previous February by 21,366, for a total of 263,240 openings (seasonally adjusted). Job postings in Florida also increased over the month compared to January 2013 by 256 openings (+0.1 percent). Florida’s labor demand, measured by online advertised vacancies, bottomed out in April 2009 at 152,181 ads. Since then it has increased by 72.8 percent, adding 111,059 job openings. According to the Help Wanted OnLine data series from The Conference Board, online job demand was highest in the large metro cities, led by Miami, Tampa, Orlando, and Jacksonville. Among the cities with the most online ads, the highest percentage gain over the year in online ads was in Ocala (+51.3 percent). Major occupational groups with the most online ads in February were sales and related occupations; healthcare practitioners and technical occupations; office and administrative support occupations; and management occupations.